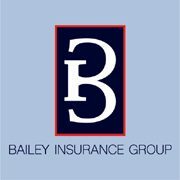 The Bailey Insurance Group has been providing insurance service and advice to residents of Bucks, Montgomery, and Philadelphia Counties since 1974. Our insurance agency offers auto, motorcycle, boat, RV, home, condominium, renters, life, wedding, medicare supplement, and business coverage policies. It is our goal to help you protect your most valuable assets and possessions by providing coverage that is tailored to your specific needs. Our insurance experts provide you with peace of mind knowing that whatever situations come your way, you are prepared. Your home, vehicles, and business are important investments in your life. With our knowledge and more than 100 years of combined experience, we can help you find a policy that meets your needs. We offer excellent customer service and a multitude of top quality products from highly rated companies, so you can be sure you are protected when you come to us.